The mission of Beaver Camp is to provide facilities and programs, infused by God's love, in which individuals of every age are invited to establish and grow in their relationships with Jesus Christ and others. Beaver Camp offers summer children’s resident camps, wilderness adventure camps, day camp, winter camps for children and youth groups, family weekends, scrapbook retreats, grandparent & grandchild camps, church retreats, and family reunions. Here at CCAM, we provide a number of camp scholarships to allow children of our congregation as well as children from POTC to attend a week of summer camp. We also host our annual church retreat at Beaver Camp every Labor Day weekend. This video shows some of the highlights of camp. Thank you to Libby Wideman for sharing your creative talents. 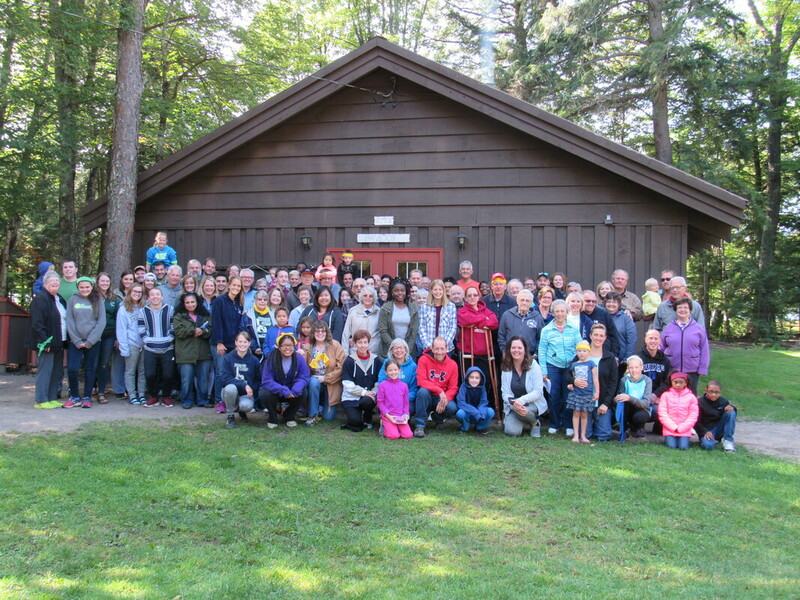 Every Labor Day weekend the community at Clarence Center-Akron Mennonite Church meets in the woods to celebrate God's creation and retreat from the every day. Visit the Church Retreat page for more details. Please note that church will not meet on Clarence Center Rd on the Sunday of Labor Day weekend. Children and youth camps are held all summer long and there are various specialty camps offered for all ages throughout the year.